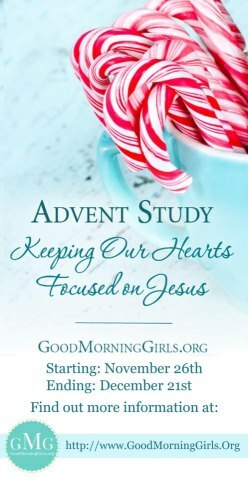 Subscribe to Good Morning Girls and receive their free eBook called Advent Study – Keeping Our Hearts Focused on Jesus. Thank you SO much Jamerrill for featuring the GMG ebook – you are a blessing!! !